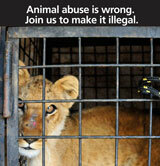 Most animal charities & the public want to see a ban worldwide of wild animals being used in circuses. 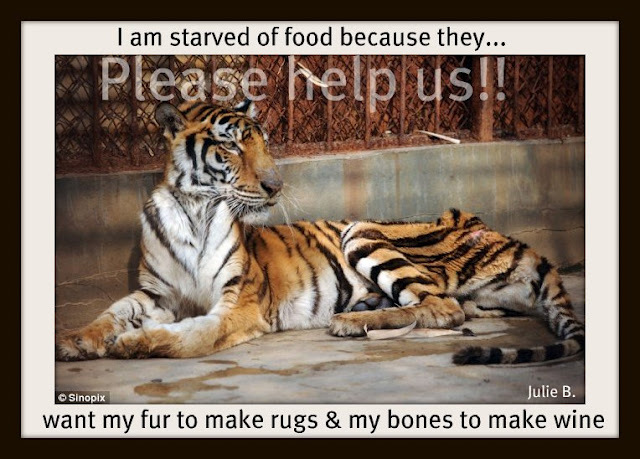 Now the owner of this circus is circulating his own petition to keep his Malta circus open. So please if you don’t agree with animals performing degrading tricks, kept behind bars & of course the cruelty that has been documented in circuses: PLEASE SIGN THE PETITIONS BELOW. We can’t let this circus continue, if it does through its petition, the flood gates for circuses using wild animals may open again; that would be tragic after all the hard work has been done to stop them!! 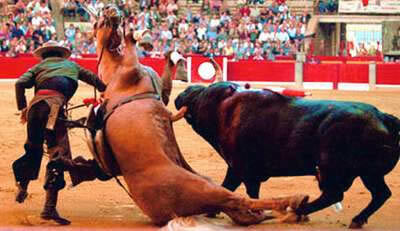 Circus promoter says 2013 could be last year for animal circuses in Malta due to the proposed ban. But circus promoter Silvio Zammit has collected 5,000 signatures as part of a petition to overturn a proposal to ban animal circuses. The circus has now moved to Ghajnsielem, Gozo, where Zammit hopes to continue collecting more signatures. The petition will then be passed on to the competent authorities. Zammit, who has been bringing circuses to Malta for the past 16 years, said he could not allow the banning of animal circuses from Malta without taking any action. “It was a personal initiative after finding out that the government had moved on to publish a White Paper proposing to ban animal circuses,” he said. See all the animals, such as, Long horn cattle, Donkeys, Lama, Camels, Lions, Tigers, Zebra, Elephant, Giraffe, Baboon, Horses, Ponies, Donkeys performing pitiful & degrading acts; acts they would never do in the wild. The animal acts stop at 12 mins; then the human artists perform!I believe the only thing not seen is the Hippo; but is in a video below!! He argued that only 390 persons took part in the consultation process initiated by the government, of which 49% said they were against such a circus. “We know that the majority of these were NGOs, and NGOs do not reflect popular opinion. I am doing this petition on my own. I know that there are many others who would like to sign it, but I have neither the time nor the manpower to go on a nation-wide petition,” Zammit said. He also said that a number of MPs from both sides of the House visited Circo Orfei this winter. “Some came with their children while others accompanied their grandchildren. They thanked me for the level of the show and all said they had fun,” Zammit said. He however refused to name them. The debate as to whether Malta should ban animal circuses for good has been going on for a number of years, with animal rights NGOs insisting that circuses solely operate to maximise profits while completely disregarding the safety of the animals and the adverse effects they may impose. Animal Rights Coalition said veterinarians only attend to the animal’s physical needs and as a result, the psychological issues brought about by the circuses are not being addressed. 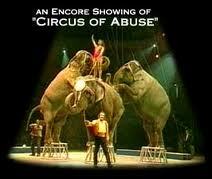 With a number of countries moving to ban animal circuses for good, Zammit said in Italy alone there were 800 circuses. He said the UK was one of the countries which will stop animal circuses as from next year. “But this was the result of many circuses caught mistreating their animals,” he said, adding that the circus he brought to Malta did not see animals performing any tricks and only a minimal part of the show was dedicated to animals. Zammit argued that the circus animals were born in captivity “and therefore they do not know otherwise. Their trainers threat them like their pets”. He said Animal Welfare Department officials and veterinarians made regular checks to verify that the animals were well-kept. Circo Orfei’s travelling team is made up of 60 people, whose living depends on the shows, Zammit said. “This is their life. They are a community who live on the road and have been doing so for years on end. This is how they earn a living… their bread and butter,” he said. The Animal Rights Coalition has also called for a full ban on dolphinaria and aquaria. The coalition has said it was unjust to deny dolphins the right to roam free in their natural habitat and called for the ban on dolphinariums as these restrict the creatures to a mere pool. The Coalition also said that this should extend to aquaria as in this case, animals are likewise being “confined to cages and restricted from roaming in their natural habitat”. But Zammit feels that two weights and two measures were being applied when talking about animal circuses and aquaria. He also said that circuses gave people the opportunity to see animals which would otherwise require them to travel abroad to zoos or safaris. He insisted that a proper discussion was required and said he agreed that animals like elephants, pandas and monkeys should be banned. “What we have in our circus are horses, ponies, donkeys and tigers,” he said, adding that tigers in captivity lived for an average of 25 years while those in the wild lived for 12 years. Circo Orfei also has a hippo and an emu as part of their travelling repertoire. It is with a heavy heart that we say goodbye to a dear friend of the animals and of ALDF. Dr. Mel Richardson, affectionately known as Dr. Mel to his friends and colleagues, passed away on January 2 at the age of 63. With more than 40 years of veterinary experience, Dr. Mel was a tireless advocate for captive wild animals. I first met Mel at an elephant summit at the Performing Animal Welfare Society sanctuary about four years ago. I was immediately charmed by his laid-back demeanor, his sense of humour, his discernable kindness, and, of course, his Georgian accent. Dr. Mel quickly became an important part of ALDF’s work on behalf of captive wildlife. He was the expert witness in our lawsuit against the City of Seattle concerning the inhumane captivity of elephants at the Woodland Park Zoo, where Mel was once a zookeeper. Dr. Mel was the veterinarian in charge of transporting Ben the bear from a tiny, barren concrete cage to a spacious, naturalistic enclosure at the PAWS sanctuary after a lawsuit filed by ALDF and PETA freed Ben from the roadside zoo in North Carolina that held him captive. Most recently, Mel wrote a comment letter on behalf of ALDF concerning the cruel captivity of two elephants at the Niabi Zoo in Illinois, who were ultimately transferred to better conditions (albeit, at another zoo). He was also a regular consultant for us on all sorts captive wildlife cases, and the phrase “Let’s call Dr. Mel and ask him” was uttered frequently at our litigation meetings. These are just a few examples of Mel’s work, and he did much more for many other organizations. His primary allegiance was to the animals and he was happy to help anyone at any time. We will miss Dr. Mel greatly, not only as a colleague and a consultant, but as a friend. He died too soon, but he left a wonderful legacy that will continue to inspire us to fight for freedom for animals. The Nevada County Fair board of directors failed to do the right thing a second time, by voting, 8-1, at its meeting on July 16, 2013, to retain its contract for elephant rides. More than 70 people testified for more than three hours, with about 75% of the speakers opposing the rides. Only five of those who spoke out against the rides were not Nevada County residents. PAWS‘ director of science, research and advocacy, Catherine Doyle, presented testimony at the meeting, including a letter signed by elephant experts and conservationists from around the world who oppose using elephants for rides. The Fair board set the tone of the meeting, when it stated that it would only consider new evidence on the topics of safety, the use of animals in entertainment, and the reputation of the company providing the rides, Have Trunk Will Travel. It was obvious that the board had little intention of changing its position, and it was made clear that the number of people opposing the rides would not be a factor in their decision. In the end, the Fair board chose to dismiss undercover video of Have Trunk Will Travel caught by Animal Defenders International that shows the company’s owner and employees viciously striking elephants with bullhooks and using an illegal electric shock device during training. To us at PAWS, it is unfathomable that anyone could watch the video and not find the treatment of the elephants reprehensible. through dominance and fear of pain for the rest of their lives. Handlers use the bullhook – a steel rod resembling a fireplace poker – to routinely prod, hook and strike elephants so they comply with every command. Not only did the board reject clear-cut evidence of abusive treatment, it failed to address the fact that the Fair lacks an emergency preparedness plan specific to an elephant escape. PAWS had requested various safety documents pertaining to emergency procedures, which the Fair was unable to produce. Though many members of the Fair board claimed to have researched elephant rides, they opted to accept only information that supported their already established position, and the information that members presented was often inaccurate. PAWS is working together with local organizations to plan an educational public demonstration when the Fair takes place in Grass Valley, California, on August 7-11.This will be a peaceful protest that is suitable for all ages. We urge you to attend (invite family and friends!) and show your support and compassion for the elephants. In the coming weeks, we’ll be providing more details on our efforts, so stay tuned. Mark those dates on your calendar now. The fairgrounds are located approximately 70 miles north of Sacramento. It is wrong to allow our children to think that elephants used for rides are living an acceptable life, when evidence for the opposite is overwhelming. Reducing elephants to the equivalent of a carnival ride distorts the public’s understanding of elephants and of their endangered status in the wild. Elephants are highly intelligent, curious and socially complex animals who possess a range of emotions, and are empathetic and self-aware. It is appalling to see these astonishing animals reduced to walking in small circles for hours as they give rides. Elephants used for rides were traumatically taken from their mothers as calves. Female elephants, those typically used for rides, would naturally remain with their families for life. Elephants used for rides are deprived of what is natural to them, including the ability to move freely in a vast natural environment, to be part of a family and extended social network, and to have choice and control over their lives. Elephants are wild animals. They are not domesticated, so they retain their innate wild natures, which are often brutally suppressed. The extreme training that is necessary to dominate and control elephants for providing customers with “safe” rides is abusive. It is well documented that elephants are trained to comply with commands through use of the menacing weapon called the bullhook and fear of painful punishment. Elephants used for rides are under a great deal of stress from being held in conditions to which they are unsuited, including prolonged chaining, confinement in cramped trucks and pens, extensive travel, and ongoing threat of punishment. 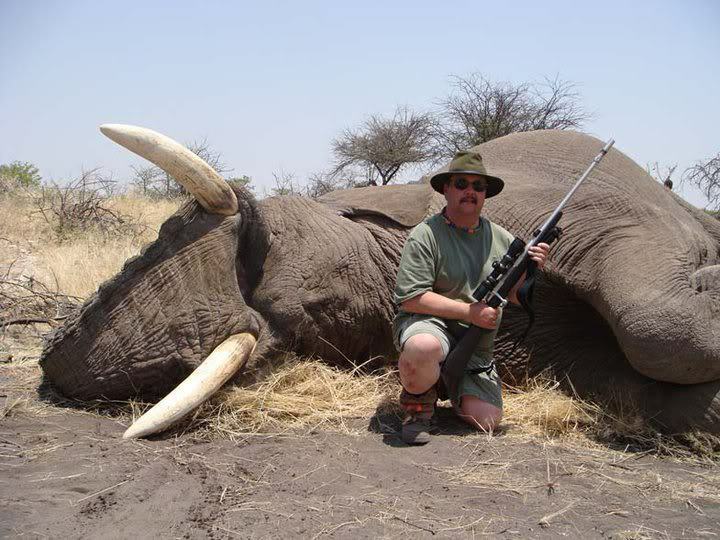 There are many documented incidents in which elephants have “snapped,” and have injured or killed people. The interests and well-being of elephants used for rides will always be secondary to the profits the company needs to maintain itself. Elephant rides do not contribute to the conservation of elephants, or to an awareness of the plight of wild elephants. On the contrary, elephant rides may divert funds from genuine, and deeply important, conservation work. Conservation is a noble cause and it is demeaned by unethical companies that use it as a public relations ploy to distract the public from this inhumane, unsafe and outdated use of elephants. It is wrong to keep alive an outdated practice that we know is brutal for elephants. Given current knowledge, it is unjustifiable to use elephants for recreational rides, and it is wrong to allow elephants to suffer just so they can entertain us. rides due to public safety and humane concerns. We advise event organizers to reject elephant rides, and we strongly urge the public to refrain from riding elephants, to oppose elephant rides if they are proposed for a community event, and to support legitimate conservation organizations that are making a real difference for elephants. Margaret Whittaker, Animal Behavior Consultant, Active Environments, Inc. The Performing Animal Welfare Society (PAWS) contends that the Nevada County Fair does not have adequate information or an action plan to protect the public from the serious risks associated with elephant rides. The controversial rides will be offered for the first time at this year’s Fair, August 7-11, in Grass Valley, California. PAWS recently filed a California Public Records Act request, and learned that the Fair lacks key information necessary to protect public safety. For example, there is no emergency plan that is specific to an elephant escape, a situation for which most law enforcement agencies are unprepared and unequipped. In fact, the Fair’s evacuation plan calls for preventing people from entering buildings, the very places that might provide safe haven during an escape. An elephant escape and recapture plan provided by Have Trunk Will Travel, the Southern California company providing the rides – Without a plan, there would be no communication and coordination between the elephant ride provider and the local first responders in the event of an escape. Have Trunk Will Travel’s protocol for securing elephants when they are not giving rides, during the daytime and overnight – The U.S. Department of Agriculture (USDA) cited the company last year for failure to safely handle an elephant at a county fair in South Dakota. The elephant was left unmonitored while she was rested from giving rides, creating a risk to the public. A history of Tuberculosis test results for all elephants owned by Have Trunk Will Travel, including those to be used for rides –Elephants can carry tuberculosis, which is transmissible to humans. Due to the prevalence of the disease in elephants and risks to public health, the USDA requires that all exhibitors test their elephants annually for tuberculosis. In addition, the Fair did not produce veterinary records for the elephants to be used for rides, which would show whether they are suffering from diseases, such as arthritis and foot infections, commonly caused by inadequate captive conditions. Chaining and cramped confinement – during travel to the Fair and at the Fair – would exacerbate these conditions and negatively impact the elephants’ welfare. PAWS has long monitored and documented the numerous incidents involving elephants used for rides that have resulted in human injuries and deaths. 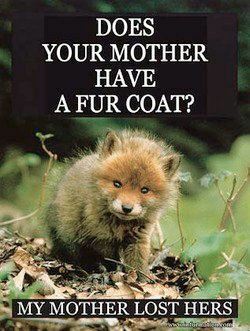 In 2000, PAWS co-founder, the late Pat Derby, testified before a Congressional committee on this serious safety issue. Today, draft legislation was announced that would see it become an offence to use wild animals in travelling circuses in England from 2015. The Born Free Foundation has worked consistently for an end to the use of wild animals in circuses since its inception in 1984. Foundation representatives participated in the first Circus Working Group in the mid-1990s, and the second in 2004. Over the years Born Free has seen many lows, and precious few highs. Yet, throughout, the message has been the same: a travelling circus simply cannot meet the needs of wild animals. It is disappointing that it has taken this long to get to this stage, given that the recent initiative to ban originated in discussions that took place prior to the Animal Welfare Act 2006. Nonetheless, the draft legislation should be welcomed as finally reflecting public, Parliamentary and expert opinion. Born Free remains committed to supporting the enactment of similar legislation in Wales, Scotland and Northern Ireland, and for an end to the use of wild animals in circuses worldwide. It would not have been possible to achieve this without the support of campaign partners the RSPCA, CAPS and the BVA, and without the help of Born Free supporters. The work of the Zoo Check team is central to the work of the Foundation, and they work tirelessly to protect animals in zoos, circuses, as pets and in the tourist trade around the world. During her early career in Hollywood, Pat Derby tamed tigers and coached cougars. After a breakthrough book, she co-founded a world- renowned sanctuary and proved to be circus elephants’ best friend. 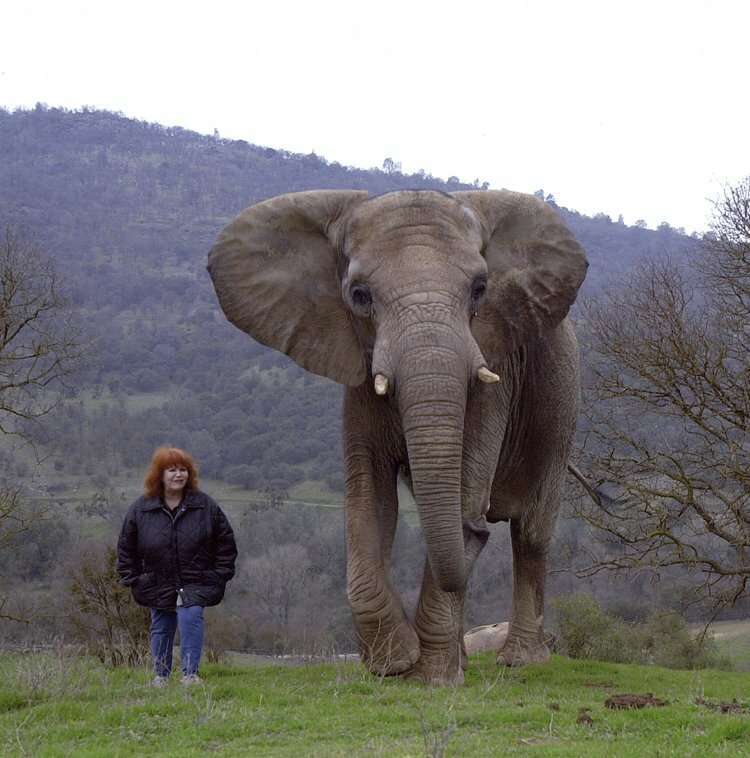 Derby, 69, died Friday night at her San Andreas home at ARK 2000, a 2,300acre refuge she created for elephants, tigers and other exotic animals – most of them circus or movie veterans. The animal trainer turned activist had been diagnosed with throat cancer in July 2010. 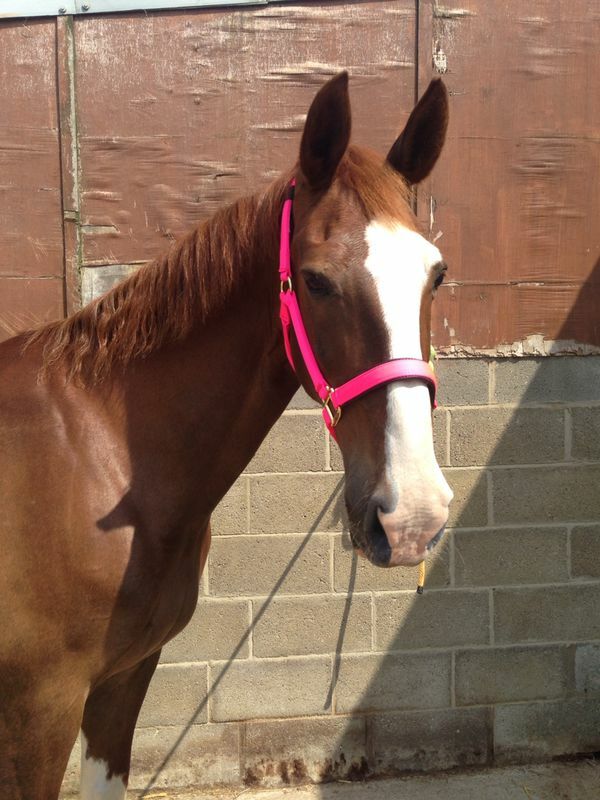 After remission, the cancer returned last fall, but Derby kept her illness private. Ed Stewart, her partner for 37 years and co-founder of the Performing Animal Welfare Society, was by her side. Derby served as PAWS president and tireless advocate. PAWS will continue under Stewart’s leadership, according to an official statement from the nonprofit organization. A celebration of Derby’s life will be held at a later date. But Derby also witnessed widespread abuse and neglect of performing animals. That prompted her to write the 1976 best-seller, “The Lady and Her Tiger,” which launched her crusade. In 1984, Derby and Stewart co-founded PAWS and opened a wildlife sanctuary in Galt the following year. PAWS became the first U.S. elephant sanctuary. Today, PAWS operates three Northern California sanctuaries, including ARK 2000 in San Andreas. The refuges are home to eight elephants and more than 100 other exotic animals. “It had to begin with elephants. Pat Derby died peacefully last night in her home at ARK 2000. Ed Stewart, her partner of 37 years, was by her side. Diagnosed with throat cancer in July of 2010, she fought her way through radiation and chemotherapy and continued to deal with side effects from treatment, including anemia. In early fall of last year came the news that cancer had returned. Pat and Ed chose to keep this last fight a private matter. We honored their wishes. It’s impossible for any of us to imagine life without Pat Derby – PAWS without Pat Derby – but she chose, and trained, her support team well, and under the leadership of Ed Stewart, Pat’s dreams and visions will be kept alive, her advocacy for animals will continue and PAWS will move forward. We’ll miss her fire, determination and fearlessness; her intelligence and her passion. We’ll miss her sense of humor. Pat Derby was a partner, leader, mentor, teacher and friend. She was the first to champion the cause of performing animals, and today, because of her work and her fierce determination, most animal protection organizations have captive wildlife programs that address the issues of performing animals. Pat chose a life for herself that was not for the timid. A celebration of Pat’s life will be planned at a later date. Ed has requested no flowers be sent. For anyone wishing to honor Pat, he would prefer donations be made to PAWS in her memory. Letters of condolences can be sent to P. O. Box 849, Galt, CA 95632, or emailed toinfo@pawsweb.org. Since 2009, IDA has worked tirelessly on behalf of an elephant named Nosey, who suffers in a variety of travelling circuses at the hands of her exhibitor Hugo Liebel. With your help, we have documented Nosey’s condition and numerous violations of the Animal Welfare Act (AWA) as she was dragged around the country to give rides and perform tricks. IDA members sent more than 18,000 letters and e-mails to the United States Department of Agriculture (USDA) urging the agency to help Nosey. We reported a year ago that the USDA had finally filed charges against Liebel concerning numerous AWA violations for which Liebel had repeatedly been cited between 2007 and 2011. These included safe-handling violations that put Nosey and the public at risk, failure to provide adequate veterinary care, violations of food storage requirements, and unsafe and inadequate conditions in Nosey’s barn, enclosure, and trailer. Liebel answered these serious charges with a rambling response blaming everyone but himself, without acknowledging any responsibility for the egregious violations. Given Liebel’s history, there is no indication he has any intention of improving his treatment of Nosey. Liebel continues to haul Nosey around the country, jamming her into a tiny, foul trailer with other animals. Nosey also suffers from a persistent terrible skin condition and is constantly chained, except when giving rides or performing unnatural tricks. A hearing is scheduled March 26 in Tampa, Florida on the USDA charges. This date was given to us by the Hearing Judge’s office but it has changed once and might change again. Please send a message to Colleen Carroll, who is prosecuting on behalf of the USDA. Thank Carroll for her work on this case and encourage her to press for the maximum available penalties. Please ask Carroll, in the event that Liebel is found to be in violation, to push for the maximum allowable amount of fines and termination of Liebel’s license to exhibit animals. As a supporter of In Defense of Animals (IDA), I am very concerned about the plight of Nosey the elephant, who has been exhibited around the country by Hugo Liebel. Liebel is charged with numerous substantial, wilful violations of the Animal Welfare Act, including repeated non-compliance with veterinary care, handling, housing, and husbandry requirements from 2007 to 2011. If Liebel is found to be in violation on these charges, I urge you to press for the maximum allowable sanctions. I would also like to express my gratitude for your work on this case to date, particularly your decision to pursue serious charges against Liebel. The violations charged in the complaint are, as you point out, substantial, and many of them are repeated violations for which Liebel has previously been cited. Many of the violations are allegedly wilful His documented lengthy record compels the conclusion that Liebel is either unable or unwilling to comply with the laws and regulations put into place to protect exhibited animals and the public. Therefore, I urge you, in the event that Liebel is found to be in violation on these charges, to press for the maximum allowable sanctions, including the highest possible amount in fines and termination of Liebel’s license to exhibit animals. I see no other way of ensuring the safety of Nosey, the surviving monkey, and any other animals who Liebel could acquire for exhibition. Again, thank you for your efforts and attention to this serious matter. Breaking News – Hope For Nosey! Breaking news – NOSEY: Following many complaints by IDA over the past several years regarding Nosey, the USDA has filed a Complaint against Nosey’s exhibitor Hugo Liebel alleging numerous willful violations of the Animal Welfare Act. These include repeated noncompliance with the veterinary care, handling, housing and husbandry requirements: in all, some 25 violations over a period from early 2007 to early 2011. These are grave violations, the possible penalties for which include fines and suspension or revocation of Liebel’s license to exhibit animals. IDA will continue to monitor Nosey’s ongoing care. For more information about IDA’s work on elephants in circuses, go to www.helpelephants.com. 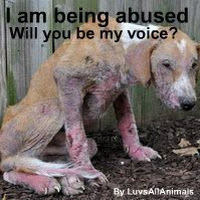 To support IDA – In Defense of Animals, work please click here.